It is advisable to treat your body to organic liquid soaps to rejuvenate and rehydrate it. With the commercial soaps and oils making it rough, dry and lack lustre. Instead, using the organic castile soap in liquid form will make sure that your skin gets its iota of moisture and nourishment. There are many kinds of organic soaps available for you to beautify your skin. It however requires due considerations to choose the one that really heals and not harms off your soft skin. Among the wide selection in this regard, the organic liquid soap or the castile soap is a beneficial one. It has tea tree oil as its primary ingredient, which helps in treating bruises, cuts and acts as a natural antiseptic. 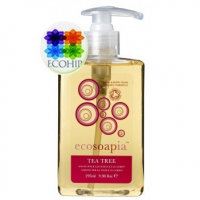 They come in a variety of scents which have different properties for example the tea tree oil is helpful in the treatment of many skin This castile soap comprises of natural ingredients that are beneficial for the skin. Organic soaps are renowned for their herbal properties and their essential oils, which impart all the essential minerals and hydrants required to make your skin supple, soft, and radiant. Completely organic: Made from 100% organic materials including certified palm, hemp, and organic olive oils they are mild on the skin as compared to the harsh ones available. 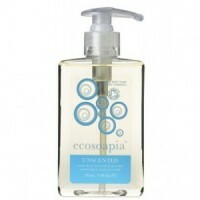 Lets you unwind: After being thoroughly exhausted after a hard day at work, you can unwind with the castile liquid soap. Recognized for its calming and soothing property over the nerves, experts recommend it for use right before going to bed or early in the morning for a peaceful sleep and stress free day. Relieves your senses: Do you feel your senses to be clouding up? Do you have trouble concentrating? If yes, then this soap provides complete relief in any such situation. It clears your mind, livens up the senses, and leaves you fresh and relaxed. Hence, it is better saying no to the harsh organic hand wash that makes your calluses rough and tough. Instead confiding on the organic castile soap for a thorough hand and body wash that makes it soft and supple is always a suitable option. Hey! I know as a like-minded blogger that it can be sometimes very hard to get people to read your stuff. So I had a freelance do this new tool that you should absolutely get a free Twitter ( bit.ly/Free-Twitter-Bot ) or Tumblr automation tool ( bit.ly/1Tumblr-Bot ) that will help you get your content seen by a lot of people. If you like it tweet me what you think on @Automationbots. Cheers! Thanks for the strategies presented. One thing I should also believe is the fact that credit cards featuring a 0 rate often entice consumers in with zero interest rate, instant authorization and easy on the net balance transfers, however beware of the main factor that may void the 0 easy streets annual percentage rate and as well as throw you out into the bad house fast. One thing I’ve noticed is that often there are plenty of myths regarding the banks intentions any time talking about foreclosed. One delusion in particular is the fact that the bank prefers to have your house. The lending company wants your dollars, not your own home. They want the money they loaned you with interest. Preventing the bank is only going to draw a new foreclosed summary. Thanks for your article. you’re actually a excellent webmaster. The site loading speed is amazing. It seems that you are doing any unique trick. Also, The contents are masterwork. you have done a great activity in this matter! Amazing job done to write this article thank very much. I enjoyed reading this article and found it very interesting. Thank you very much. Hi guys! Just wanted to drop you a line to say that I really enjoyed reading your articles! Great perspective. Have an awesome day! Good Afternoon, I really like your website ! Hello, I’m the marketing and advertising apprentice at Peaches and Screams. I came across your site and now I read all your blogs that inspire me in my marketing and advertising approach. Thank you very much. was a great discover. Thanks! Next Next post: How Tints of nature treat your hair naturally?